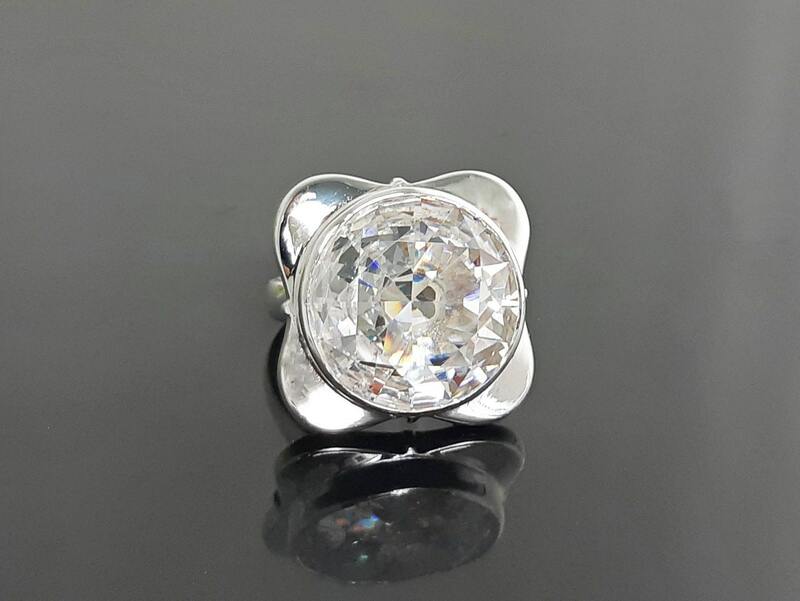 Shining White Big Ring, Sterling Silver Ring, Statement Silver Ring, Four-Leaf Clover Ring, set with a Majestic White, Cubic Zirconia. 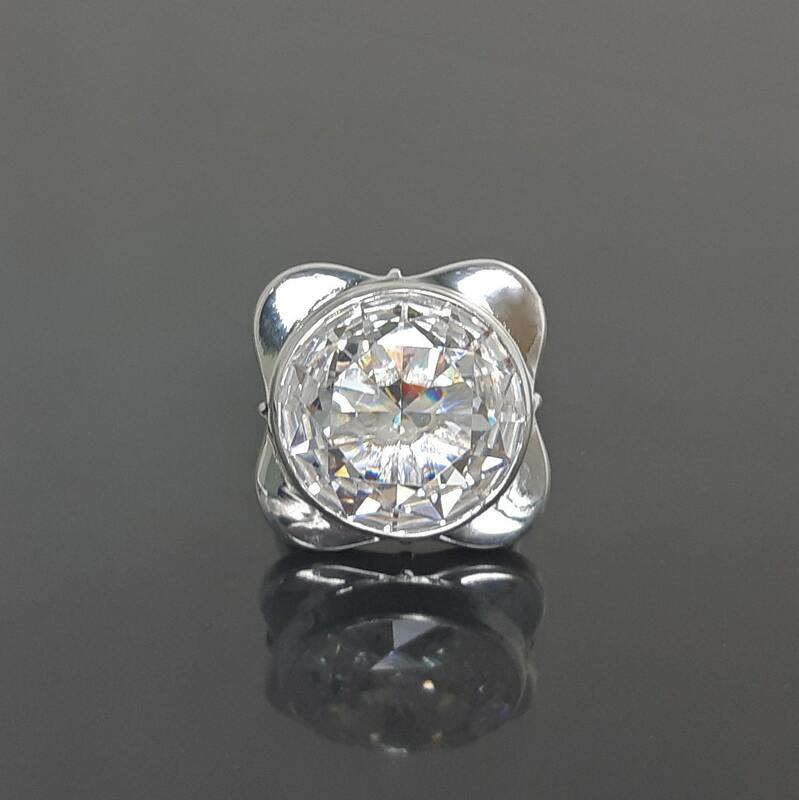 This Sterling Silver Statement Ring with a Four-Leaf Clover Design, is set with a Genuine Majestic Diamond Cut Cubic Zirconia in a wonderful Diamond Bright Reflection. 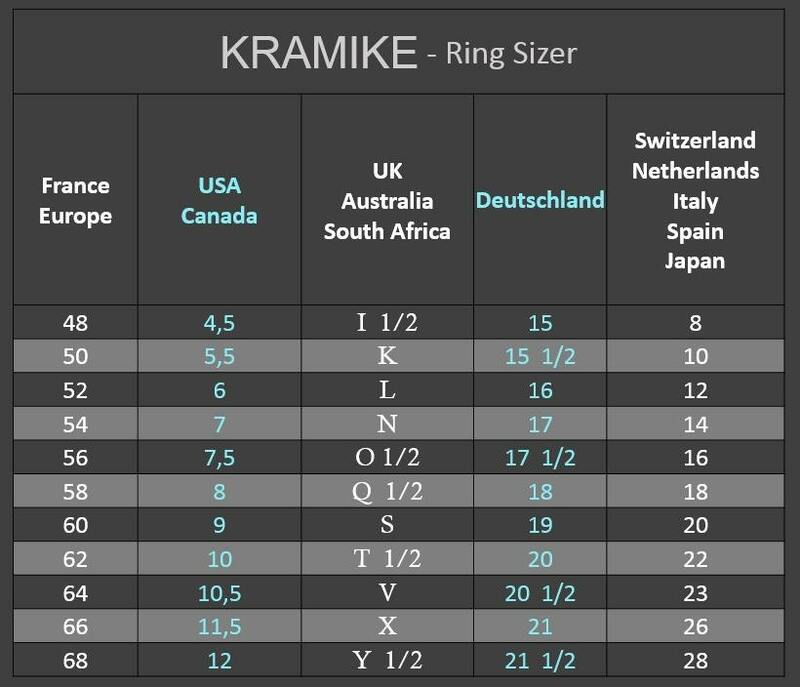 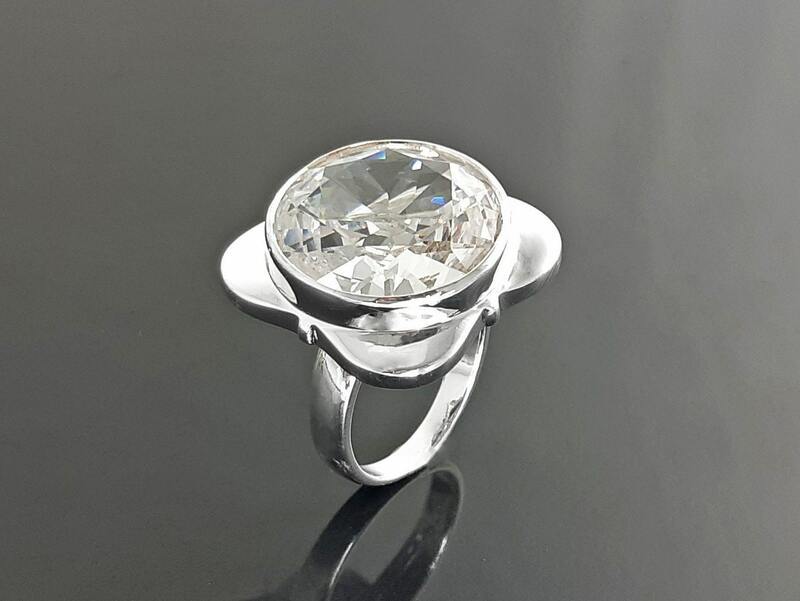 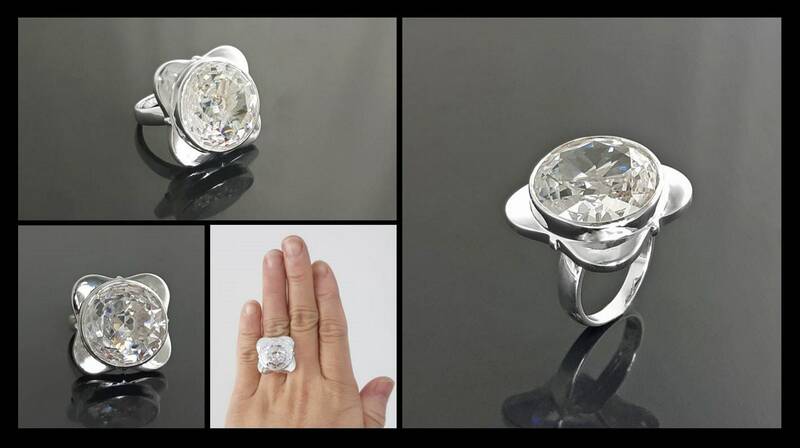 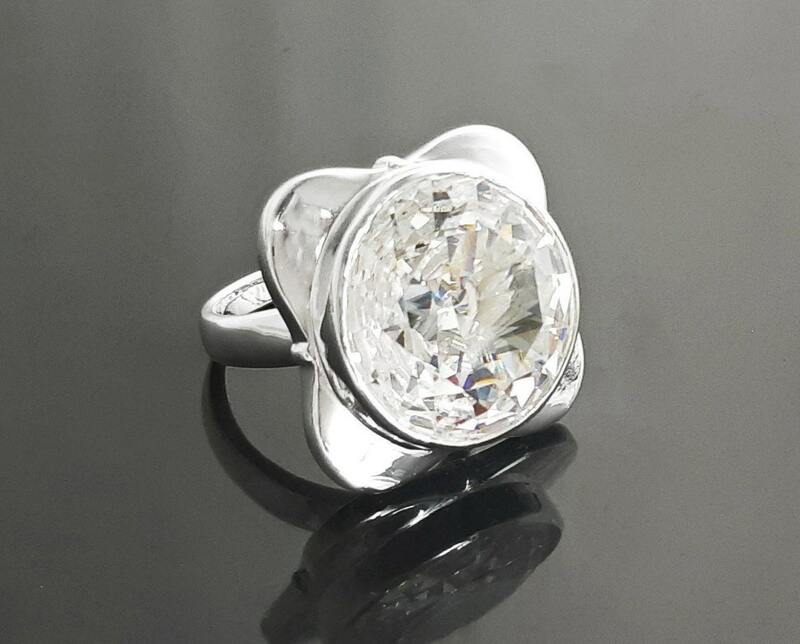 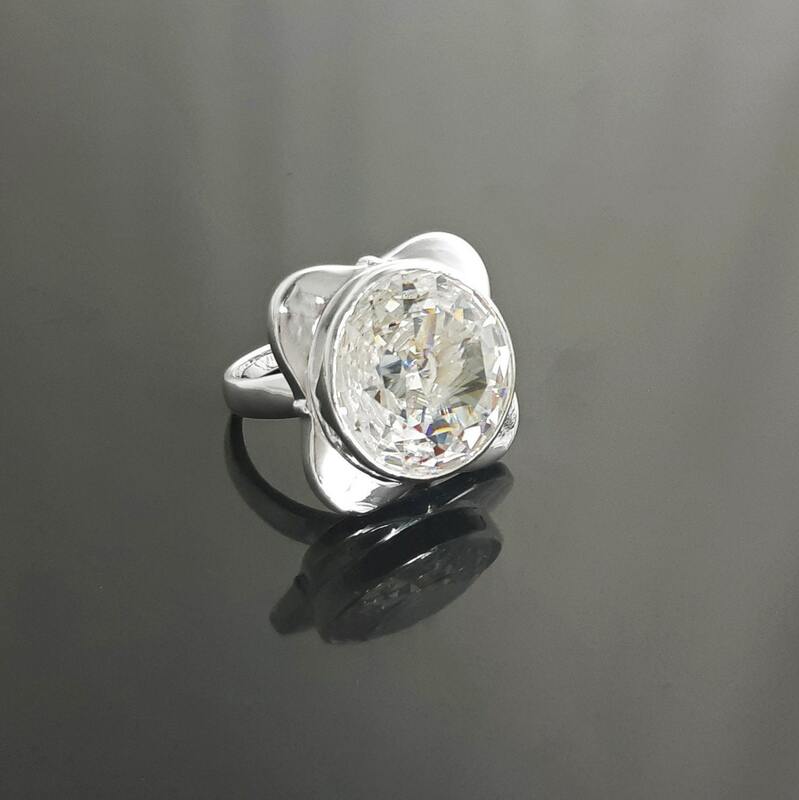 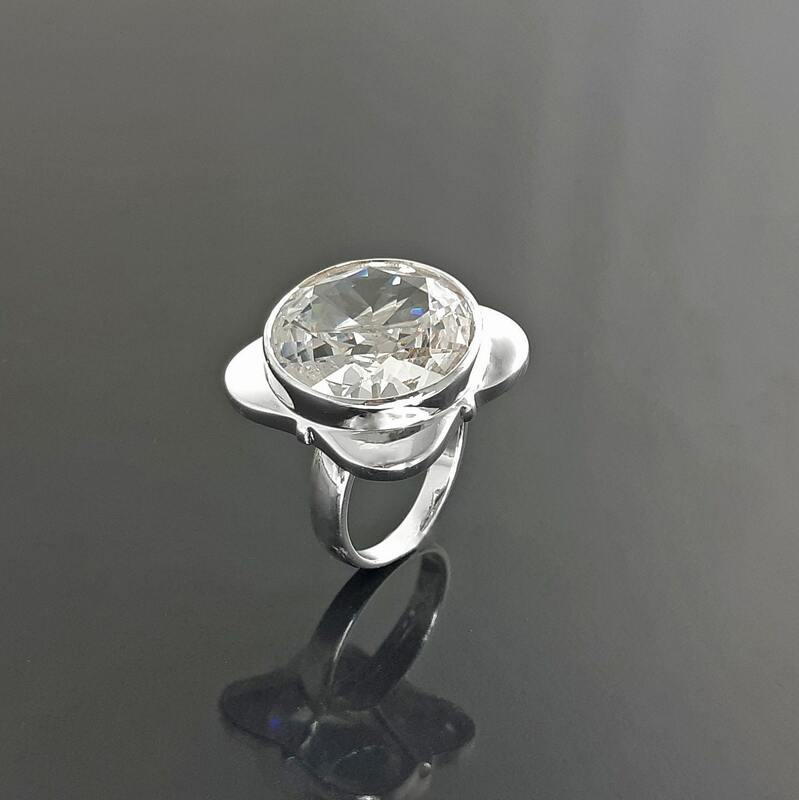 Ring features a 1.8 cm diameter Cubic Zirconia.